Lauded for her emotive, stripped-down songs and her acrobatic vocal range, New England-born singer-songwriter Patty Griffin remains one of the American folk scene’s most vital performers. Though hardly a household name, she has frequently infiltrated the mainstream. Her 2011 LP, Downtown Church, won the Grammy Award for Best Traditional Gospel Album, while songs from her nine critically acclaimed albums have been covered by a host of influential performers ranging from Linda Ronstadt to The Dixie Chicks, and even soul legend Solomon Burke. Griffin first appeared on the industry’s radar with her remarkable A&M debut, Living With Ghosts, released in May 1996 and still hailed as one of her most breathtaking discs. In reality, though, she had quietly been working up her act for years. Born in March 1964, she grew up in Old Town, Maine, a small town of less than 10,000 inhabitants situated near the Penobscot Native American Indian reservation. The youngest child in her family (she has six older siblings), Griffin loved music at an early age and bought her first guitar – reputedly for the princely sum of $50 – when she was just 16. She sang and played rudimentary self-penned songs as soon as she learned a few chords but, initially, Griffin had no intention of pursuing music as a career. Instead, she took the domestic route, marrying – but then divorcing after only a few short years. By the mid-90s, however, she’d strapped on her guitar full-time and was making a name for herself playing well-received, fanbase-establishing shows on the coffee-house circuit in Boston, Massachusetts. Griffin’s intimate shows led to her signing with A&M Records, who were stunned by the strength of her demo tape. The original plan was for Griffin to enter the studio and re-record the songs, with the tracks fleshed out by studio musicians overseen by producer Nile Rodgers, but when the record company heard the finished product they felt the results were overproduced. After some discussion, the album that emerged, Living With Ghosts, was Griffin’s original demo tape unadorned. Yet while few major record companies would have had the guts to introduce a newly signed artist in such a naked, stripped-back setting, A&M were right to have the courage of their convictions. As a whole, the impassioned 10-track album had an intensity that transcended the bare-bones minimalism of the musical backdrop, while the best songs (‘Moses’, ‘You Never Get What You Want’ and ‘Poor Man’s House’) painted ultra-vivid portraits of chronically lonely people. All 10 tracks, meanwhile, were delivered by a seemingly fearless voice with a range that ran the gamut from brittle vulnerability through to sabre-rattling intensity. The critics agreed that Griffin was indeed a major new folk talent and, while Living With Ghosts was a commercial slow-burner, it sold solidly, eventually racking up sales of over 220,000 copies. After the album was released, however, label and artist agreed Griffin should again try recording with a backing group; after a successful full-band version of Living With Ghosts’ ‘Let Him Fly’ was cut, Griffin recorded her sophomore LP, Flaming Red, with a band that included Nashville session aces Buddy Miller, John Cougar Mellencamp drummer Kenny Aronoff and even Emmylou Harris, who contributed backing vocals to several tracks. Taken neat after the intimacy of Living With Ghosts, Flaming Red was an acquired taste, with its eclectic contents taking in everything from belting bar-room rockers (‘Wiggly Fingers’; the bratty, no-nonsense title track) through to yearning, radio-friendly pop anthems (‘Change’; ‘Blue Sky’) and the superb ‘Tony’: a vivid portrait of depression-fuelled teenage suicide played out over loping trip-hop beats. Crucially, however, the album was just as cathartic as its sparse predecessor and the brashness was balanced out by affecting, roots-flavoured numbers such as ‘Goodbye’, ‘Mary’ (later covered by The Dixie Chicks) and the piano-framed ‘Peter Pan’. Flaming Red again performed well in the marketplace. It climbed up to No.12 on the US Billboard Heatseekers chart on release in June 1998 and eventually sold well over 120,000 copies in North America. 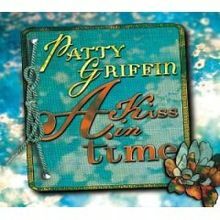 Griffin completed a third album, Silver Bell, for A&M, but they shelved it at the time and Griffin eventually signed with Dave Matthews’ ATO label, for whom she recorded her official third album, 2002’s 1000 Kisses. Recorded live in the studio with a small, mostly acoustic band, 1000 Kisses landed between the stark acousticism of Living With Ghosts and the full-on electric textures of Flaming Red. A delightful record, with exotic sonic textures including vibraphone, accordion and mandolin, the album featured a slew of fabulous tracks including the Latin-flavoured ‘Mil Besos’, the late-night torch song ‘Tomorrow Night’ and a stirring cover of Bruce Springsteen’s ‘Stolen Car’. With Griffin again on tip-top vocal form, the album racked up the critical plaudits and performed well in North America, topping the Billboard Heatseekers Chart and climbing to No.101 on the mainstream Billboard 200. A sister piece to 1000 Kisses, Griffin’s first officially sanctioned live LP, A Kiss In Time, followed in October 2003. Recorded at an enthusiastically received show at Nashville’s Ryman Auditorium (formerly the home of the legendary Grand Ole Opry) with Griffin backed by members of the 1000 Kisses band, the album’s material was culled from all three of her LPs to date, and it again met with a positive reception, garnering critical applause and climbing to No.21 on the US Billboard Heatseekers chart. Griffin picked up further critical praise for her live performances in 2004 when she toured with the Sweet Harmony Travelling Revue: a star-studded country-roots line-up which also included Emmylou Harris, Buddy Miller, Gillian Welch and David Rawlings. The same year saw the release of Griffin’s fourth studio LP, Impossible Dream: a reflective, dreamy affair featuring a couple of beautiful, sparse piano ballads (‘Mother Of God’; ‘Kite’), the gospel-tinged ‘Standing’ and the winsome, folk-flavoured ‘Useless Desires’, which featured vocals from Emmylou Harris and violin from ex-4AD Records star Lisa Germano. 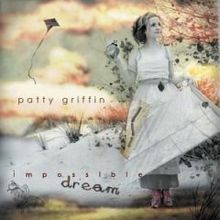 Rising to No.67 on the US Billboard 200, Impossible Dream proved to be one of Griffin’s best-selling discs, though it was eclipsed by her final ATO album, Children Running Through, which climbed to No.34 in North America within a fortnight of its release in February 2007. Winning the Americana Music Association’s Artist Of The Year award and nominated in the Best Contemporary Folk/Americana Album at the 2008 Grammy Awards, the album was greeted by a welter of positive critical notices and is widely regarded as Griffin’s most indispensable disc. Poised and diverse, Children Running Through undeniably featured some of Griffin’s finest material, ranging from the tough, horn-assisted R&B of ‘Stay On The Road’ and the Pretenders-esque rockabilly of ‘Getting Ready’ to the haunting, country-roots ballad ‘Trapeze’ and the striking, gospel-fuelled ‘Up To The Mountain (The MLK Song)’, which was based on the Reverend Dr Martin Luther King’s famous ‘I Have A Dream’ speech. Kelly Clarkson later covered this last song (with guest Jeff Beck on guitar) on the special Idol Gives Back edition of American Idol, which aired on US TV in April 2007. Downtown Church again performed well in the charts, debuting at No.38 on the Billboard 200 as well as topping two specialist Billboard listings, the Christian Album Chart and Folk Album Chart, respectively. 2010, meanwhile, proved to be quite a year for Patty Griffin, as she also featured on Robert Plant’s acclaimed Band Of Joy LP (released by the Rounder imprint), which charted at No.5 on the US Billboard 200 and swept up to No.3 on the UK Top 40. Plant rapidly returned the favour, appearing on three songs on Griffin’s next solo LP, 2013’s American Kid. Arguably her most candid and reflective set since her debut, the album was another career highlight. The best of the Robert Plant collaborations came in the shape of the shimmering, ethereal ‘Ohio’, while elsewhere the sonic backdrop dug into early folk, blues and gospel styles on tracks such as the lonesome ‘Go Where You Wanna Go’, the wracked ‘Don’t Let Me Die In Florida’ and the pointedly personal ‘Gonna Miss You When You’re Gone’. Christmas came early for Patty Griffin devotees in 2013, as not only was American Kid released, but A&M/Universal Music also finally issued her legendary “lost” third LP, Silver Bell, which had been completed in the wake of her second LP, Flaming Red, but remained released after Griffin parted ways with A&M. Akin to Bob Dylan’s The Basement Tapes, Silver Bell had assumed almost mythical status among her fans, while The Dixie Chicks had previously dropped some tantalising hints as to its contents, covering two of its best songs, ‘Top Of The World’ and ‘Truth #2’, on their 2002 LP, Home. Originally recorded in New Orleans with U2 producer Daniel Lanois, Silver Bell was specially remixed for release by renowned UK rock producer Glyn Johns (The Who; The Rolling Stones) and its finely wrought melange of atmospheric country-soul and tough, brawny roots-rockers didn’t disappoint. Griffin’s grateful fans snapped it up quickly and duly propelled Silver Bell to No.64 on the US Billboard 200 on release in October 2013. More recently, though, Griffin released her ninth studio LP, Servant Of Love, through 30 Tigers and her own PGM imprint in September 2015. Again featuring on the US Billboard 200 (where it recently peaked at No.68), it was another earthy, heartfelt folk-blues set, most of whose songs explored love in its myriad of mysterious guises, from the power of physical attraction analysed on ‘Snake Charmer’ through to the many stages of failing relationships examined by tunes such as ‘Hurt A Little While’ and ‘Good And Gone’. Servant Of Love again attracted a clutch of highly positive reviews and Patti Griffin recently embarked on her latest tour to support the album’s release. She will be treading the boards regularly during 2016: scheduled dates in the UK, Ireland and mainland Europe, along with her pre-US Presidential election jaunt in North America (dubbed the Use Your Voice tour), offer fans ample opportunity to enjoy an unforgettable evening in the presence of one of contemporary Americana’s most versatile voices. 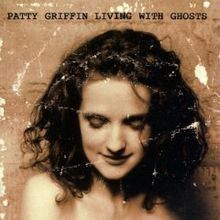 Patty Griffin's Living with Ghosts was an impressive debut, but its spare acoustic arrangements occasionally made it sound more like a sketchbook than a completed album. Shortly after its release, her label commissioned a new version of "Let Him Fly," which matched her vocals to a full live band. Satisfied with the results, Griffin decided to flesh out the instrumentation on her second album Flaming Red and the results are revelatory. Griffin didn't stick with traditional rock arrangments -- she also recorded country-rock, folk, catchy pop and even trip-hop songs, as well. Instead of camouflaging her songwriting, it actually reveals the richness of her music and lyrics. Her sonic revision may be more accessible, but it's no compromise -- Flaming Red is evidence that Griffin is one the more talented and ambitious singer/songwriters to emerge in the late '90s. Patty Griffin's first live outing is a fine, poetic, flesh and blood example of what a live recording should be. This is as undressed as it gets; a fine record of a truly magical show at the historic Ryman Auditorium in Nash Vegas; a fitting end to a tour that began with the hope of getting a new record on a new label across. The end result is one of those recordings where the singer becomes her songs. Her guests, including Buddy and Julie Miller, Emmylou Harris, John Deaderick, and Jay Joyce all end up as parts and parcels in the songs, rather than as personalities helping to interpret them. The world woven from Griffin's three studio recordings, combined with the energy coming from audience, and the stage itself, make for one of the most engaging, warm, and poetic listening experiences issued in a decade, and one of the best live outings on record. The package includes a DVD with videos for the songs "Rain" and "Chief," and a slice of life documentary of life on the road during a memorable year. Griffin's delivery on "Christina," is nervous, grainy, full of the heartbreak of her subject (Christina Onassis), "Rain" offers an acceptance and resignation of a soul in flux and pain which refuses to yield its desire to transcend. And on it goes, into the night with warmth abounding, and a heart opening, like Frida Kahlo's: revealing everything in the moment. in the safety of camaraderie. and the in the naked light of song itself. Patty Griffin's major-label debut was actually recorded as a demo cassette. A&M executives were so impressed with this raw display of talent that they snatched up the tape and threw it, unaltered, into the marketplace. Griffin recorded her songs exactly as she performed them live, armed with only her acoustic guitar and a voice that can rattle fences. While dozens of folk artists have attempted to bend the ear of the major labels by coating their acoustics with radio-friendly keyboards and drums, Griffin took the gutsy "band? I don't need no stinking band" approach. It's primarily a testament to her voice that A&M was so taken with her minimalism; as a guitarist, Griffin isn't much more than an energetic strummer. Her songwriting is only occasionally exceptional -- her word choices are as minimal as her arrangements, and her melodies are engaging but conventional. But she is nonetheless a striking and intriguing storyteller, because her tales of chronically lonely people are told with such passion. Griffin's Nashville-tinged warble has tremendous emotional range, one minute cracking with brittle vulnerability, the next minute blasting with passionate intensity. Occasionally it seems Griffin's demo engineers were unequipped to handle her vibrant transitions, setting the microphone level for a whisper then cringing as the speakers bristle and the needles slam into the red. But this subtle idiosyncrasy only adds to the charm of the album, lending to the impression that no stereo is big enough to contain this voice. 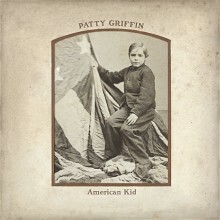 American Kid is Patty Griffin's first album of primarily original material since 2007's Children Running Through. It's her most stripped-down recording since her debut, Living with Ghosts. Acoustic guitars of all stripes, mandolins, earthy drums, percussion, bass, and occasional piano and organ accompany her instantly recognizable voice. Co-produced by the artist and Craig Ross, she is joined by longtime guitarist Doug Lancio, as well as Cody and Luther Dickinson. Robert Plant appears on three songs, including the single "Ohio." The set was recorded in Memphis and Brooklyn. Griffin wrote most of these songs after learning of her father's impending death. They aren't so much about his actual life, but her making sense of the coming absence of his physical presence in hers, what she knew of him and his times. These songs are mostly acoustic; one can hear traces of early blues, various American folk styles, gospel, and vintage country music in her brand of Americana. There isn't anything extra anywhere in the mix. The space in the high lonesome "Go Wherever You Wanna Go," with Luther's National Steel guitar playing slide in counterpart to Griffin's earthy vocal, is almost spooky. The combined supplication and exhortation in the haunted "Don't Let Me Die in Florida" carries traces of prewar and Memphis blues. The duet between Griffin and Plant on "Ohio," is a shimmering, open-tuned droning float, it's lyric binds spiritual and physical love; it would not have been out of place on a Band of Joy record. The feeling of home and hearth saturates her excellent reading of Lefty Frizzell's "Mom & Dad's Waltz," while the musical sensation -- if not the form -- of the folk-blues courses through the disquieting "Faithful Son," with a haunting backing vocal by Plant. "Irish Boy" evokes an early 20th century parlor song; Griffin's only accompaniment is her piano. "Get Ready Marie" is a barroom waltz, complete with a male backing chorus and made loopy by an off-kilter Hammond B-3. The set closer, "Gonna Miss You When You're Gone," is Griffin speaking directly to her father, addressing the deep mark he made upon her life, even as he's passing through it. It's part Lonnie Johnson and Lil Green swing blues, and part Peggy Lee pop. It's slow burning, tender, and bittersweet, a three a.m. confession in an empty room, sung from one spirit to another. While the theme of mortality runs deep through American Kid, so does the celebration of life. Roughshod and unpredictable songs engage it in the present as well as the past, through courage, fear, love, memory, and the grainy, knotty, often invisible ties that bind. With its immediacy, economy, cagey strength, and vulnerability, Griffin delivers these 12 songs not as gifts or statements, but as her own evidence of what is, what was, and what yet may come. In many respects, art is about the process that goes into the creation of the work as much as the work itself; the path that leads to a final creative vision can often mean as much to the art as the physical technique or the initial inspiration. 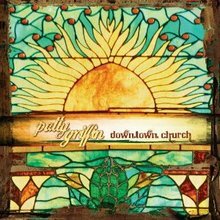 It's a process not unlike faith, in which the road to spiritual understanding plays a powerful role in informing one's beliefs, and both art and faith play a crucial role in Patty Griffin's seventh album, Downtown Church. 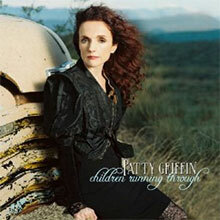 While Griffin has described herself as a "lapsed Catholic," she's also spoken of herself as a seeker who believes in the spiritual dimensions of music, and she's a passionate devotee of classic gospel music, with the influences showing clearly on her 2007 album, Children Running Through. On Downtown Church, Griffin has given her gospel influences free reign; while it features two fine new songs from her, most of the album is devoted to vintage gospel of all stripes, from Hank Williams' "House of Gold" and Dorothy Love Coates' "The Strange Man" to traditional numbers such as "Wade in the Water," "If I Had My Way," and "Never Grow Old." Downtown Church was recorded in Nashville's Downtown Presbyterian Church, and while it's hard to say how much that informed the mood of the sessions, Griffin's vocals here possess a fierce passion bordered by a touching emotional fragility, as if she's fully aware of the gravity of the themes at hand, and means to give them the consideration they deserve. Griffin is also accompanied by a number of gifted friends and colleagues; Buddy Miller produced the album, and his spectral guitar lines weave their way through many of the songs, while the guest vocalists include Emmylou Harris, Raul Malo, Jim Lauderdale, and gospel stars Ann McCrary and Regina McCrary, all of whom add to the richness of this music while never leaving any question that this is truly Griffin's album. Griffin has certainly learned a lot from vital gospel artists of the past, but rather than emulate their style, she's absorbed them and used their influences to create something of her own, and along the way, one can hear her digging deep into the meanings of these songs as well as appreciating the beauty on the surface. Griffin sounds bold on "I Smell a Rat," fervent on "The Strange Man," and almost in awe of the simple faith and complex mysteries of "All Creatures of Our God and King," and just as she's not afraid to step into the musical unknown, she's sincere and assured as she considers the depth of faith expressed in these songs. It's no surprise that Downtown Church is a beautiful album, as Patty Griffin has been making beautiful albums since 1996, but here she's reaching for something deeper than she has on much her previous work, and the search that informed these 14 songs is compelling and joyous to hear, regardless of your religious convictions. 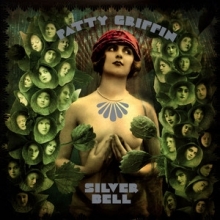 Shelved during of the great record label consolidation of the early 2000s, Patty Griffin's Silver Bell is indeed a "lost album" but it is not one that carries mythic weight. Griffin rebounded relatively quickly after Silver Bell's abandoned release -- two years later, she signed with ATO and released 1000 Kisses, the first in a series of regular records all receiving greater acclaim and stronger sales -- and Silver Bell itself strengthened her reputation and bank account due to covers by the Dixie Chicks, who cut "Top of the World" and "Truth #2" on 2002's Home (over a decade later, Natalie Maines once again returned to this album for its title track, recording "Silver Bell" for her 2013 solo debut, Mother). If the Chicks' covers suggest that the album has a strong country flavor, that's not necessarily wrong, but there’s a roiling rock undertow tempered by a smoky, late-night soulfulness that gives this album its emotional resonance. These sounds are not mutually exclusive. Often, Griffin blends it all together, pushing a song that starts as country into bracing, cathartic territory, a trick that is an outgrowth of Flaming Red. Despite the success the Dixie Chicks had with songs from this album, Silver Bell is not necessarily a record that would've brought Griffin to a larger audience. It is simultaneously inward and explosive, a record that demands close listening and certainly rewards the attention. Griffin may have gotten a little more accessible not much later, but it's hard to hear Silver Bell and not think of it as a compelling transitional LP that's the missing piece of the puzzle, the moment when Patty Griffin inadvertently learned that the hard road not only resulted in a rewarding journey, but it was the road she was destined to take. Patty Griffin has always been an artist fearlessly, eagerly willing to follow her muse wherever it may take her, and few artists can bare their souls in the recording studio with such compelling results. For her ninth studio album, 2015's Servant of Love, Griffin has given herself more creative freedom than ever before, as it's the first release from PGM Recordings, her own independent label. While Servant of Love doesn't sound like an album she couldn't have made for one of her former sponsors, it is a bravely eclectic, often enigmatic work that doesn't announce all its attentions at first glance, but allows Griffin to use her lyrics and voice to communicate a soulful style that's as much about tone as the literal message of the verses. As the title suggests, Servant of Love is, for the most part, a collection of songs about love, but these are not love songs per se. Instead, these tunes ponder the mysteries of attraction (the title song), the downsides of failing relationships ("Hurt a Little While" and "Good and Gone"), the love of a mother for her child ("250,000 Miles"), the power of physical attraction ("Snake Charmer"), and the nexus where love and spirituality meet ("Shine a Different Way" and "There Isn't One Way"). The circular patterns of "250,000 Miles," "Made of the Sun," and "Everything's Changed" suggest Eastern modalities finding a common ground with American folk and blues, while Ephraim Owens' trumpet on "Gunpowder" and "Servant of Love" adds an earthy jazz undertow to the arrangements, which takes this album just outside the boundaries of rootsy Americana. And though some of the tunes are whisper quiet while others howl like a honky tonk on Saturday night, Griffin knows just how hard to hit the material whatever the surroundings, and her vocals are emotionally intelligent and expressive throughout, while Griffin and producer Craig Ross coax some splendid performances from their session crew. 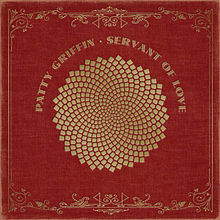 Servant of Love is an album that needs a few spins to be fully appreciated, but it's as sincere, heartfelt, and artful as anything Griffin has released to date, and if the form may seem elusive to some listeners, the content is powerful and satisfying, a reminder of why Patty Griffin is one of our best singer/songwriters. Impossible Dream retains the intimate, "live" recording quality of 2002's 1,000 Kisses, especially on tracks like "Florida," where you can almost smell the cigarette smoke Patty Griffin sings about. But it also emits a melancholy signal from somewhere deeper than live, a hazy place lined with the shelves of memory. "Mother of God" and "Kite" are spare, piano-led pieces recalling a life's decisions or a child's emotions on a single summer day. Griffin's gorgeous vocals make their atmosphere touchable. But Impossible Dream also benefits from the production of Austin pal Craig Ross. He deftly clarifies the album's stylistic contours, but is careful to cultivate them inside the album's overall pensiveness. "Standing" is a deconstructed gospel number that sidles into something a little more sultry, while "Love Throw a Line" starts Impossible Dream with a slight Texas shuffle. Guests like guitarist Doug Lancio and Emmylou Harris and Buddy and Julie Miller -- who contributed supporting vocals throughout -- also help shade the album's more robust material. Harris seems like Griffin's vocal muse for the folk build of "Useless Desires," which includes some lovely, swirling violin work from Lisa Germano. "Say goodbye to the old street that never cared much for you anyway," Griffin sings in bittersweet farewell to a hometown. And then, a little prescient joke. "Weekend Edition has this town way overrated." Germano returns for the quietly intense relationship meditation "Top of the World." As the song fades from its aching climax, it's replaced by a scratchy kitchen table recording of "Impossible Dream," performed with TLC by Griffin's parents. The moment intensifies the feeling that this LP is Griffin's greatest journey of personal reflection. Her memories, longing, regrets, and desires define an album that's as listenable as it is meaningful. 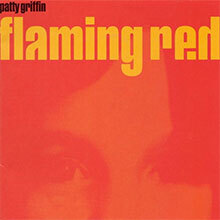 Patty Griffin's raucous second album Flaming Red was a shocking departure from the critically noticed Living with Ghosts. It placed solid, searing rock & roll and big bad drumbeats up against the authority of her voice. On Impossible Dream, she married country and her own brand of gospel in an intimate and musically seductive mix. The reason for stating the obvious is that the Mike McCarthy-produced Children Running Through is the moment Griffin's recordings have been building toward; an album that cements the emotional and musical adventure of earlier offerings with clarity of vision and seamless execution. Smoky and jazz-tinged, with Glenn Worf's double bass strolling through the first verse, "You'll Remember" that gets kissed by Michael Longoria's brushed drums is her evocative song of hoped-for memory and resilience, and is breathtaking in its poetic sparseness. This is underscored and shifted by the tough, acoustic guitar and horn laced acoustic R&B in "Stay on the Road." The prominence of her voice in the mix is startling. She stands right out in front of her band and lets the raw soul just pour out of her mouth. She changes up again on the gorgeous country of the tragically haunting "Trapeze" with backing vocals by Emmylou Harris. Griffin's song is lyrically her own, but there is a trace of Bruce Springsteen's country-ish phrasing in her delivery. As Harris' duet vocal joins on the second verse, the tale strips itself of time and place and becomes a folk song, a tale told too often but never in this way as the refrain lays out a proverb for the ages: "Some people don't care if they live or they die/Some people want to know what it feels like to fly/They gather their courage and they give it a try/And fall under the wheels of time going by." The song builds to a stirring climax and the final word, "Hallelujah," resonates long after the track concludes. Griffin hardly lets these three songs, filled with their wisdom and loss, dominate her recording. "Getting Ready" is a burning, snaky rockabilly tune for the 21st century. In it, one can hear the energy of Johnny Burnette and the punk rock determinism of the early Pretenders. This is a song of self-determination and the acknowledgement of emotional and sexual power. There's yet another twist in the utterly gorgeous "Burgundy Shoes," a ballad that swirls into a celebration of a mother, or grandmother, that rings to the skies with gratitude and remembrance. Once more, as she does for the rest of the set, Griffin shifts gears toward her own brand of secular gospel in "Heavenly Day" with a stirring string section that underscores the soaring conviction and joy in her vocal, and Ian McLagan's piano is straight from the gut, caressing her voice until it's time to push it into the stratosphere, which he does. (You all guessed right: this is the same song she loaned to Solomon Burke for his Nashville album.) "Up to the Mountain (The MLK Song)" is another gospel number based on the "I Have a Dream" speech delivered on the day before Rev. Dr. Martin Luther King was assassinated. Griffin's reverence here is so profound it feels like she deliberately gives up some of the authority she expresses on the rest of the album out of respect. And that's fine. She lets the low strings and McLagan's grand piano guide her to the peak of the mountain she sings about. She never goes over it but points to the dignity of the man, the integrity of his spirituality, and the depth of his courage, and carries his inspiration in the grain of her voice. This is followed by her own testament in "I Don't Ever Give Up," a song -- ushered in quietly by percussion and an acoustic guitar -- about determination in the face of discouragement, error and downright oppression. As the swelling strings buoy her voice she looks outside the song and then back in for what she needs to carry it through and reveal her truth.